As summer progresses and people are taking vacations, it's time to think of what books to read on lazy days at the beach. There are four thrillers coming out this Tuesday that are sure to delight, thrill, and entertain - Little Girl Lost by Wendy Corsi Staub, What Remains Of Her by Eric Rickstad, A Noise Downstairs by Linwood Barclay, and Whistle In the Dark by Emma Healey. Wendy Corsi Staub, a three-time finalist for the Mary Higgins Clark Award and winner of an RWA-NYC Golden Apple Award for Lifetime Achievement, is out with a gripping novel of psychological suspense, Little Girl Lost, the first in all new series. On a murky pre-dawn Mother's Day in 1968, sinister secrets play out in New York City, as an elusive serial killer sets his sights on a slumbering family, leaving only a trail of blood and a teenager as the lone survivor in Brooklyn, while a church janitor in Harlem finds an innocent newborn in a basket. With narratives cloaked in lies, these seemingly unrelated lives, as well as deaths, are destined to intersect on a distant, blood-soaked day. Almost two decades later, in the fall of 1987, two strangers attempt to navigate a world after unearthing shocking personal discoveries. Amelia Crenshaw goes on a search that takes her from Harlem to Ithaca to discover the truth about the birth mother who abandoned her. 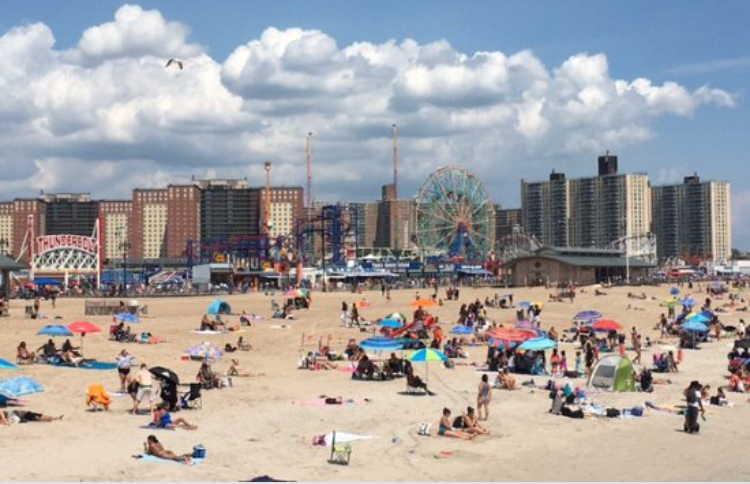 Detective Stockton Barnes, a brash young NYPD detective, trailed a missing millionaire whose disappearance is rooted in a nightmare that began twenty years ago. Not everyone who wants to be lost can be found, and some people will kill to keep the past buried. 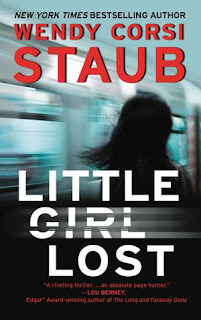 Little Girl Lost highlights what fans love most about Wendy's books, as it is filled with nuanced characters, unprecedented plot twists and, as Lee Child says, "solid gold suspense." Staub definitely keeps the reader on the edge of their seats with this first book in the Foundlings series, as Little Girl Lost has the beat of a fast-paced thriller, and each page challenges us to reflect on the importance of identity in the wake of a threatening reality unfolding across decades. 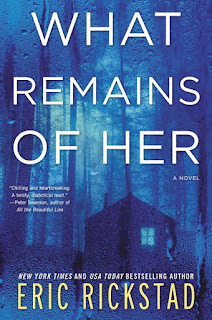 The master of the bone-chilling thriller, Eric Rickstad, whose New York Times bestsellers include The Names of Dead Girls, Lie in Wait, and The Silent Girls, is back with a new work, What Remains Of Her. 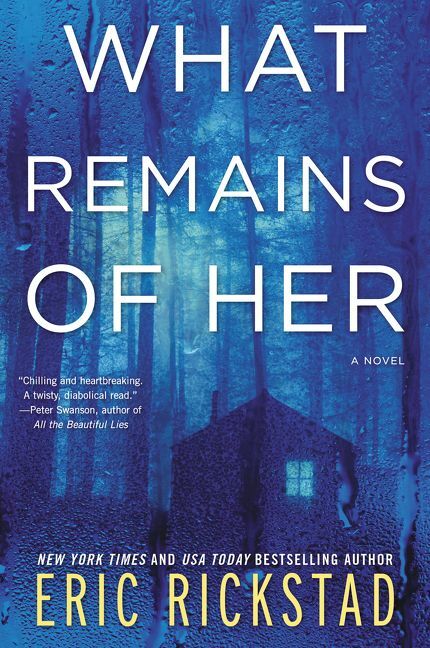 Set in rural Vermont, What Remains Of Her centers around a recluse who believes the young girl he's found in the woods is the reincarnation of his missing daughter, returned to help him solve the mystery of her and his wife's disappearance. Jonah Baum, a professor of poetry at a remote Vermont college, sees his life torn apart when his wife, Rebecca, and young daughter, Sally, vanish from their home without a trace. There is no evidence of a kidnapping, no sign of murder, and no proof Rebecca abandoned her marriage. The only hint of evidence is Sally's chilling drawings, Jonah's little lies, and a sheriff's nagging fears that nothing is what it seems. Sally's best friend, Lucinda, knows she wouldn't disappear, not after they shared so many secrets, especially about what they saw in the woods, a secret Lucinda swore she would keep. As the search for Rebecca and Sally intensifies, suspicions drive Jonah into seclusion. Now, on the twenty-fifth anniversary of their disappearance, Jonah finds a girl in the woods and grows convinced she has a link to Sally. This will prompt many questions, including: Is she a coincidence? Is she even real, or just a manifestation of Jonah's desperation and grief? Or is there something more sinister at play in the dark woods? 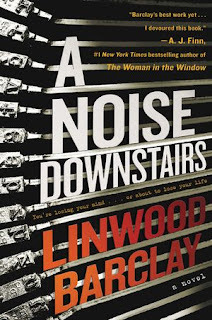 Linwood Barclay, New York Times bestselling author of seventeen previous novels and two thrillers for children, is back with A Noise Downstairs, a psychological thriller that blends twists and turns with driving suspense. A Noise Downstairs has all the ingredients of an edge-of-your-seat thriller: murder, a protagonist facing the crisis of his life, and just when you think you have it figured out, be ready to keep guessing. College professor Paul Davis is an ordinary guy with a basic life, complete with a house on the Long Island Sound in Connecticut, a second wife and young son, and a steady teaching job. One night, that normal existence is turned upside down when Paul sees a colleague driving on a deserted road. Paul, concerned and curious, follows Kenneth, catching him in a horrifying, unthinkable act, trying to dispose of two bodies. Paul nearly lost his life in the encounter, and readers encounter him eight months later still battling PTSD, depression, and severe problems that keep him from work and that are creating tension with his wife, Charlotte. Paul has few sources of comfort at this point, and one of those is his sessions with his psychologist, Anna, who specializes in trauma and disturbed patients. Charlotte tries to cheer Paul up by bringing home a gift, a vintage typewriter, complete with ink ribbons and heavy round keys, to encourage him to start the novel he always dreamed of writing. With Anna's support, Paul believes writing about his ordeal will help him overcome all he's been through. The thing is the typewriter itself becomes a problem. Paul swears he can hear it typing in the middle of the night, but he is the only one who can hear the noise coming from downstairs. Charlotte doesn't hear a thing and she worries that Paul is going off the rails. As Paul digs deeper, he becomes convinced that the typewriter has a connection to the murders, but can't figure out how that's possible. No longer sure what is real or imagined, Paul starts to question everything and begins investigating the deaths on his own. If he doesn't begin to accept the truth and walk away from the past, his darkest fears might come true. Emma Healey received a lot of praise in 2014 for her first novel Elizabeth is Missing, a runaway international bestseller, with rights purchased in 27 languages. The US publication received critical acclaim in the New York Times and Wall Street Journal, while earning a top spot on the Sunday Times bestseller list in the UK. It is currently being adapted for TV by BBC1 TV. 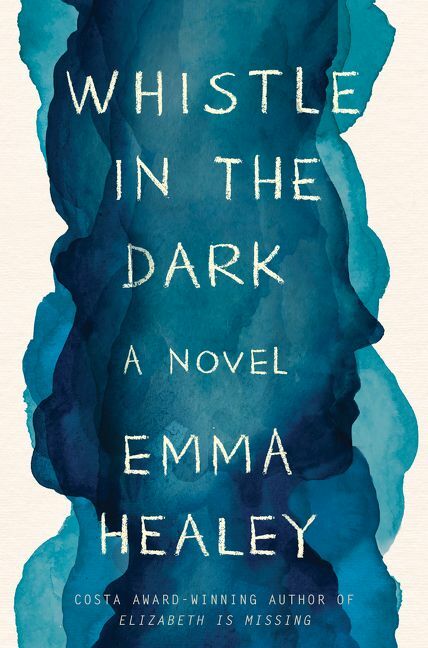 Healey is back with Whistle In The Dark, a vivid, atmospheric exploration of the complexity of mother-daughter relationships, which are often full of fierce love can be fraught with misunderstanding. The novel looks at the impact of teenage depression on a family, how that blurs the lines between responsible suspicion and parental paranoia, and asks just how well you can know your closest relatives. Jen and Hugh Maddox have just survived every parent's worst nightmare. While they are relieved, they are still terrified as they sit by the hospital bedside of their fifteen-year old daughter, Lana, who was found bloodied, bruised, and disoriented after going missing for four days during a mother-daughter vacation out in the country. Lana won't tell anyone what happened and police consider the case closed, but Jen can't leave it alone. Lana has become distant, hostile, and strange, while also not going to school and sleeping with the light on. Jen is certain the answer to her daughter's change in behavior lies in those four missing days. Lana is just as sure she will never speak of those days, and Jen, driven by fear of losing her daughter all over again, must do something. The thing is, how do you rescue someone who has already been found? Healey, though only in her only thirties, has been able to mine the mind and world of her middle-aged heroine Jen. She also draws on tackling her experiences with depression to become astute in her characterization of Lana. Whistle In The Dark is an examination of the bonds and strains of family life, the pain of mental illness, and the fraught yet enduring connection between mothers and daughters. This is one of the most masterfully drawn, thought-provoking, and psychologically complex tales you will read this summer.